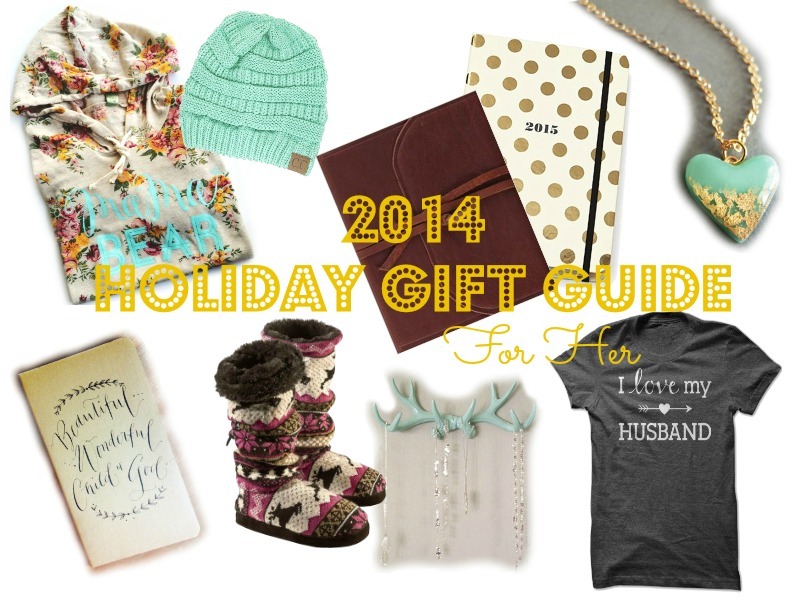 PART TWO of my Holiday Shopping Guide 2014! Gifts for the women in your life. 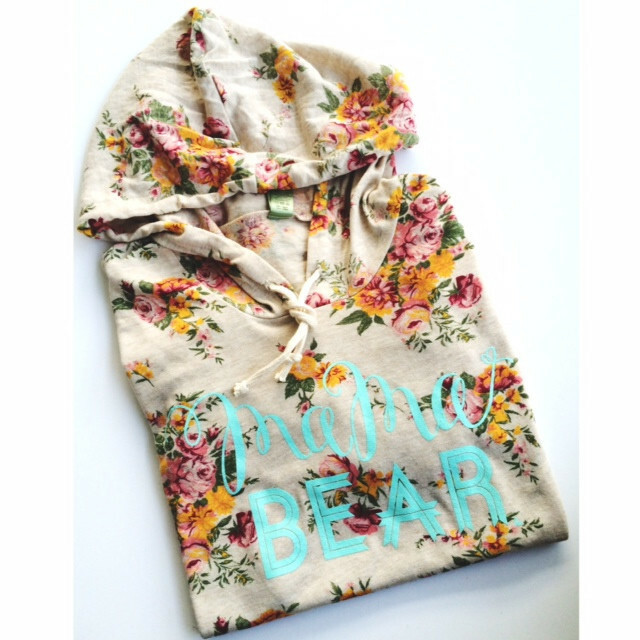 This t-shirt fitted floral hoodie is so gorgeous. I would love to have this in my wardrobe. 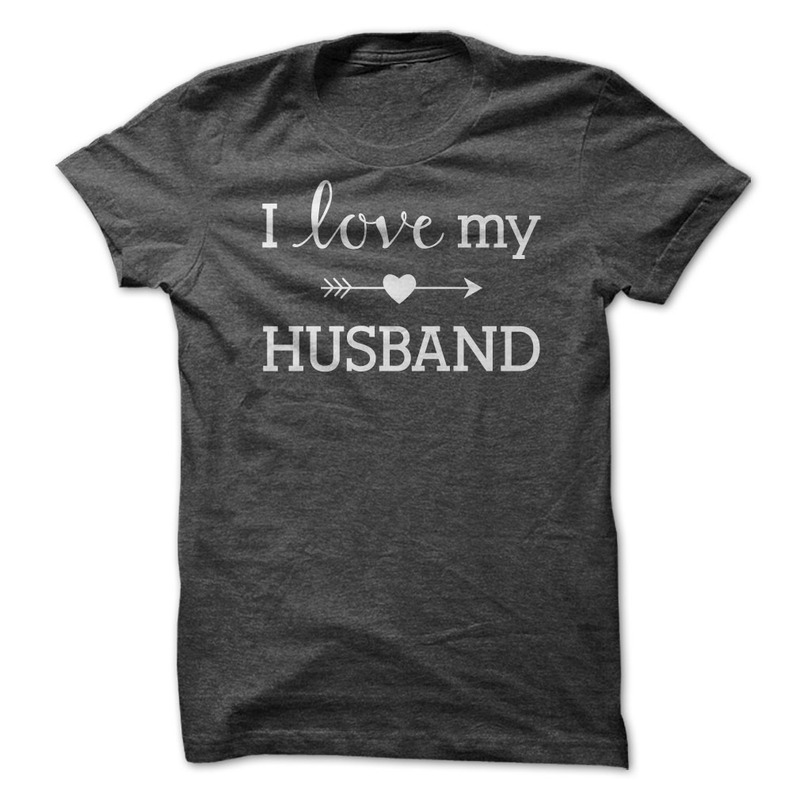 I am fairly certain I would wear it every day. 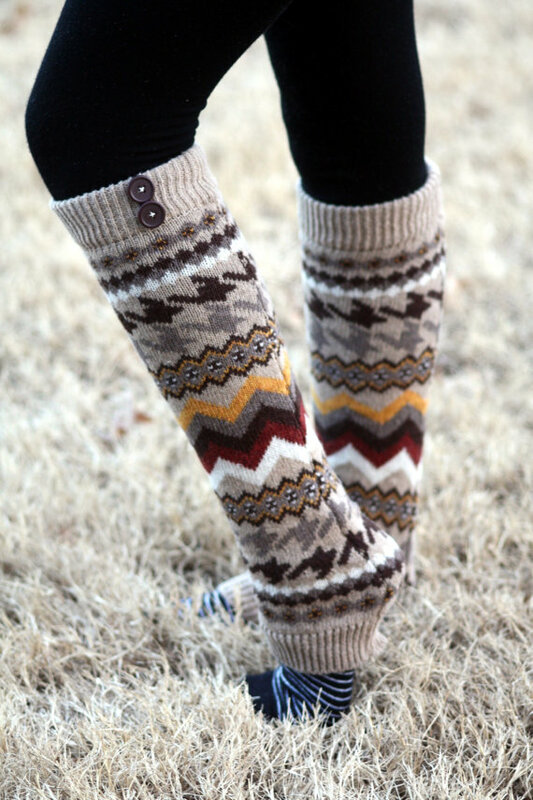 Stylish legwarmers that double as boot socks? Yes, please. Because I don’t know about you, but I like to brag on my man. My mom got me these a couple Christmases ago, and I love them so much. 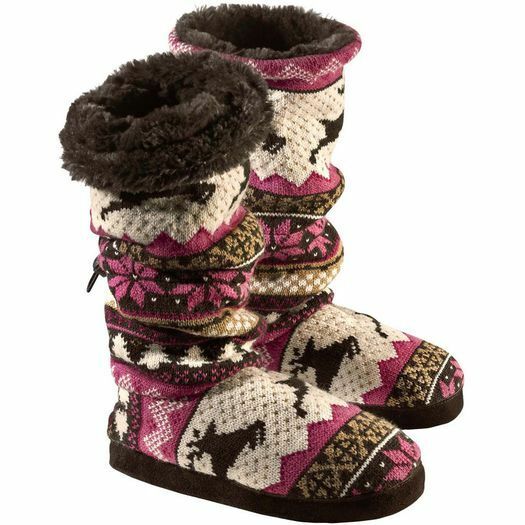 I wear them year-round. I love that you can wear them high, scrunch them up, or fold them down. They are so comfy! I love practical accessories. 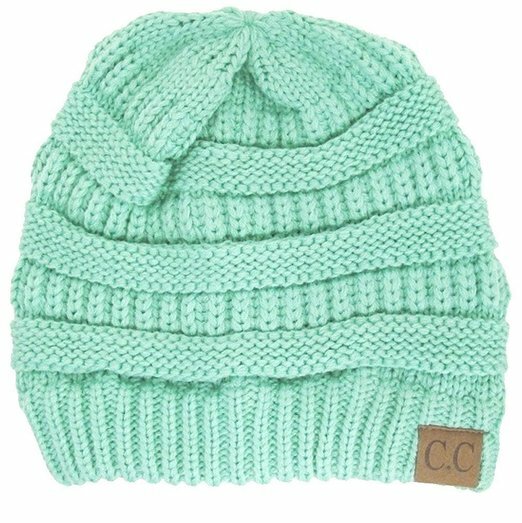 This slouchy cap is super cute, and keeps your ears warm. Win! Every woman needs a place to store her bling. What man would argue with this? 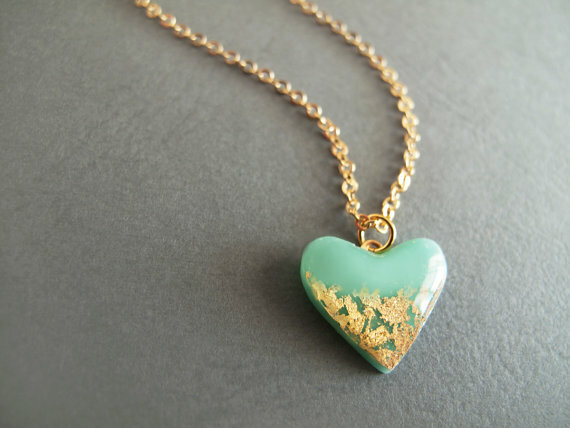 This necklace is the perfect statement piece. 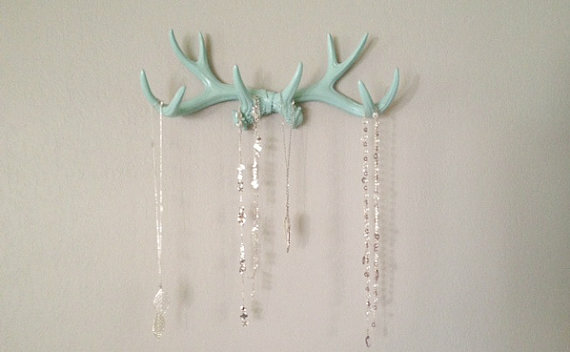 And you know, you need something to hang on your antlers. 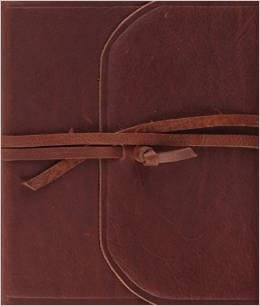 Stunning leather ESV Bible with lots of space for notes! 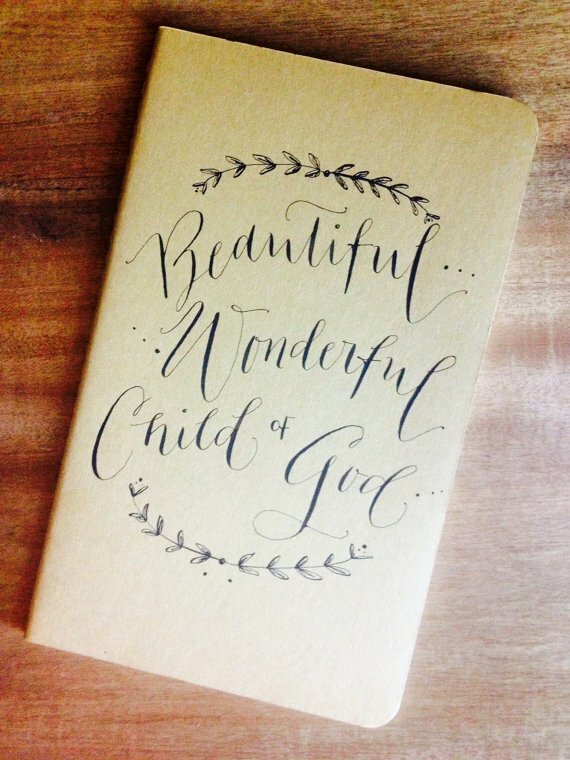 When you need even more space for those thoughts, this journal can be personalized with your choice of font, quote, and color. 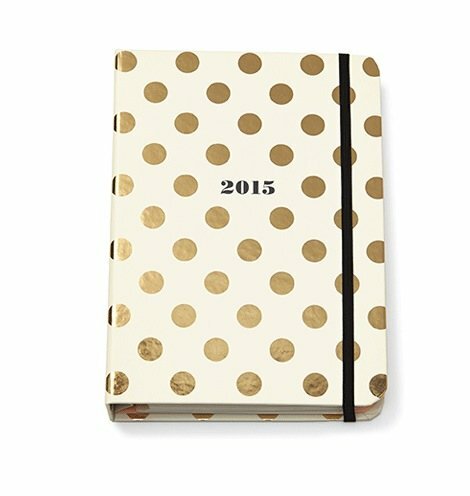 Kate Spade. And Gold. Need I say more? Links? I love that necklace! Does it count as a gift if I buy it for myself? oh darn, are my links not working? you should be able to click on the text. Weird. I can do it on my phone but it didn’t do anything when I was on my laptop. It might have been my computer though. It’s been being slow lately.